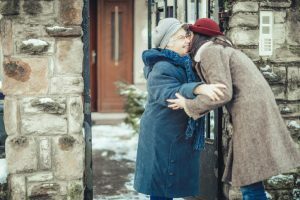 Nothing feels quite as comforting as the warmth of home during the cold winter months, but for those receiving in-home care, it’s vitally important to ensure that the home environment is safe in addition to being cozy and warm. There are particular safety risks that are heightened during the winter season, and To The Rescue has the tips you need to help prevent them for your loved ones. Schedule a maintenance visit to have the heating system fully checked and serviced, ensuring the system is clean, ventilating correctly, and that everything is in working order. Make sure there are smoke detectors throughout the home with batteries replaced every six months. Likewise, install a carbon monoxide detector with fresh batteries. A good rule of thumb is to replace CO2 and smoke detector batteries as you turn the clocks forward in the spring and back in the fall. Avoid using space heaters, which can create a fire hazard. Put together an emergency preparedness kit to include non-perishable food items and water, a manual can opener, warm blankets, battery-operated flashlights and radio with extra batteries, etc. In the event of a power outage, never use a generator, grill, or propane-powered camping stove indoors. Dress in layers when venturing outdoors in the cold, and include waterproof boots, gloves, hat, and scarf. Keep walkways clear of ice. Sand, cat litter, or salt can be used to help add traction to slippery surfaces. Avoid traveling in inclement weather if at all possible. If travel is unavoidable, keep a second emergency preparedness kit in the car that also includes blankets, a first aid kit, flares, and a cell phone with charger. Ensure the home is properly weatherproofed for winter by having gutters cleared, any roof leaps repaired, and appropriate insulation and weather stripping installed. Have a plan in place for snow removal services. Did you know that in addition to our in-home care services, To The Rescue provides a full range of home maintenance and handyman assistance in the Greater Cedar Rapids area? Just a few of the many ways we can make sure your home or that of your loved one is safe and secure all year long include snow removal, home remodeling, installation of windows and doors, lawn care, and much more. Contact us to learn more strategies for keeping your loved ones safe and thriving at home, to ask any questions you may have about our in-home care services, or to arrange for a free in-home consultation to develop a specialized plan of care according to your loved one’s particular needs. We’re here for you any time at 720-851-2100 in Colorado, or 319-826-6068 in Iowa.